2. Use a brush to paint and to clean. 3. Overheating and non-ventilated condition may be hazardous. 4. 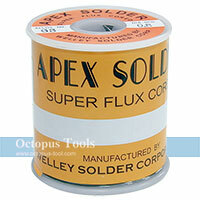 After soldering, use hot water to remove extra flux. 5. 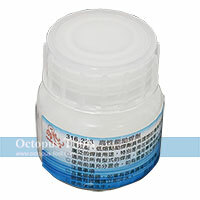 Cap the flux and put it in dry and ventilated place. 1. Wash hands after use. 2. Contain potassium fluoroborate, if sallowed please see a doctor immediately. 3. Wash with plenty water if touch with eyes. 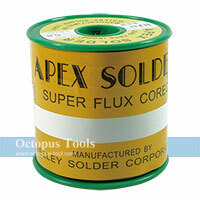 ◆ Solder wire is packed in tube which can protect wire from moisture and dirt. 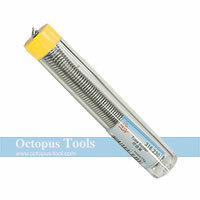 ◆ Pen shape tube is lightweight and easy for storing. 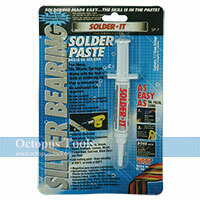 ◆A must-have tool for DIY electric tasks such as repair of cable and toys.